Oh boy, did I get to perform a fun surgery this week! 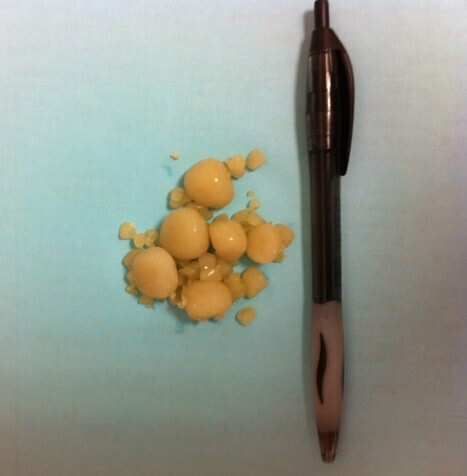 My favorite surgery to perform is a cystotomy, where an incision is made into the bladder to remove uroliths (bladder stones). While kidney stones are common in humans, they are uncommon in cats and dogs. Bladder stones, however, are a frequent finding in our canine and feline companions. 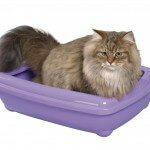 There are several different types of stones that can form in cats and dogs. Far and away, the most common urinary tract stones are either calcium oxalate or magnesium ammonium phosphate (commonly calledstruvite). In dogs, struvite stones occur most commonly as a complication of abacterial urinary tract infection certain types of bacteria can change the pH of the urine in the bladder, and result in struvite stone formation. Cats rarely develop bacterial urinary tract infections, but they do form struvite stones. It’s not well understood why some cats develop these stones. 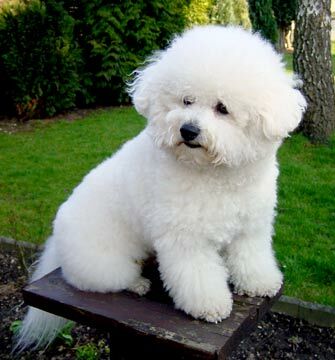 Calcium oxalate stones can form in certain breeds that are predisposed to this problem, or if the animal’s blood calcium levels are too high for some reason (hypercalcemia.) There are two types of treatment for struvite stones: dissolution via prescription diet therapy or surgical excision via cystotomy. 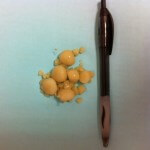 More often than not, when we identify uroliths, our recommendation is for surgical excision of the stones. 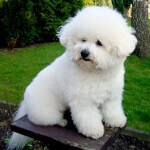 And that’s just what I got to do this week, when I took “Penny”, an 8 year old female Bichon Frise to surgery. Penny had presented to one of my colleagues for straining to urinate, urinating in the house and passing visibly bloody urine. My colleague, upon feeling Penny’s bladder, could palpate a large number of stones. 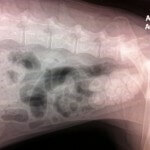 Penny then had an abdominal radiograph (x-ray) to visualize her bladder. Penny’s radiograph is pictured here to the left. This is a lateral view of Penny, where she is laying on her side with her head to the left of the picture and her tail to the right. In the bottom right-hand corner of the radiograph you can see a large number of round, white structures; these are Penny’s uroliths…there are too many to count! What can be done to prevent stones from returning? We have much better success at preventing struvite stones than calcium oxalate stones. In virtually every patient where uroliths have been a problem, we recommend a prescription diet. 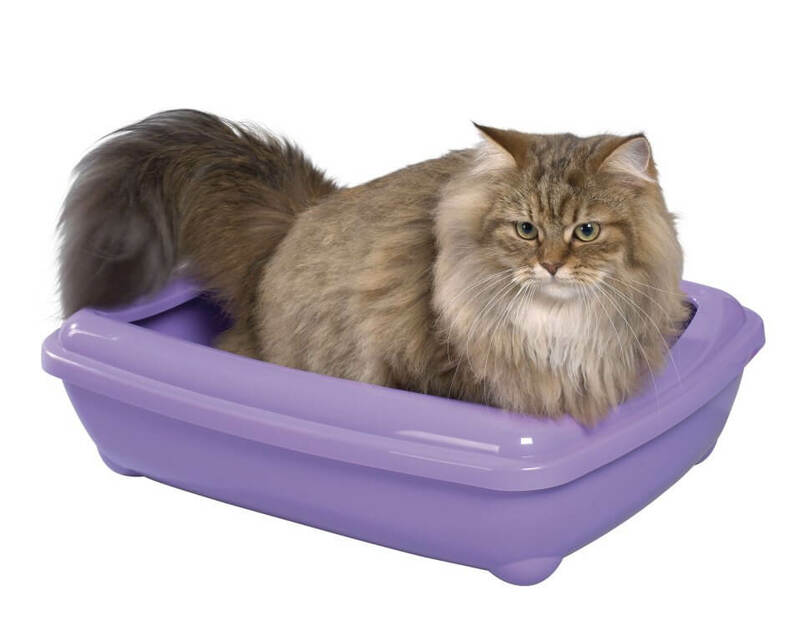 Prescription urinary tract diets are able to create a neutral urine pH, have a reduced calcium, magnesium, oxalate and phosphorous content, and often contain higher sodium (salt) levels, which causes the pet to drink more. Increased fluid intake, either by drinking more, or eating a canned food diet, is also a mainstay of therapy to dilute out the urine. The less concentrated the urine is, the less likely it will supersaturate with the minerals needed to precipitate stones. Finally, in dogs prone to calcium oxalate stones, we may prescribe a medication known as potassium citrate; this medication increases the pH of the urine. Since calcium oxalate stones require an acidic pH to form, by making the urine pH more alkaline, we can decrease the incidence of stone formation. 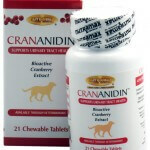 For dogs prone to urinary tract infections, we often recommend cranberry supplements. (This concept may be familiar to women who have suffered from a UTI.) 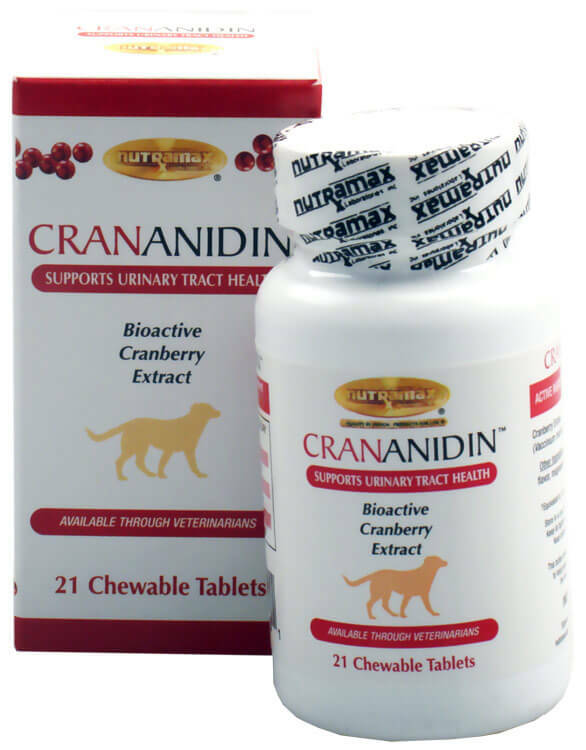 Cranberry has been shown to inhibit the binding of E. coli and other bacteria to the bladder wall, thereby preventing infection. Frequent voiding, ample access to fresh water, and adding water to the food are also recommended for these patients. Uroliths are something we diagnose on an almost weekly basis; clearly this is a very common problem in cats and dogs. If your pet is straining to urinate, producing bloody urine or seems to have a urinary tract infection that doesn’t resolve with antibiotic therapy, it may be indicated to rule out bladder stones. Fortunately, Penny recovered well from her surgery. Now, we need to monitor her urine every 3 months to ensure her pH is appropriate, and that she’s creating urine dilute enough to minimize stone formation. She will require a lot of close monitoring for the rest of her life, but hopefully we will successfully prevent those stones from returning!